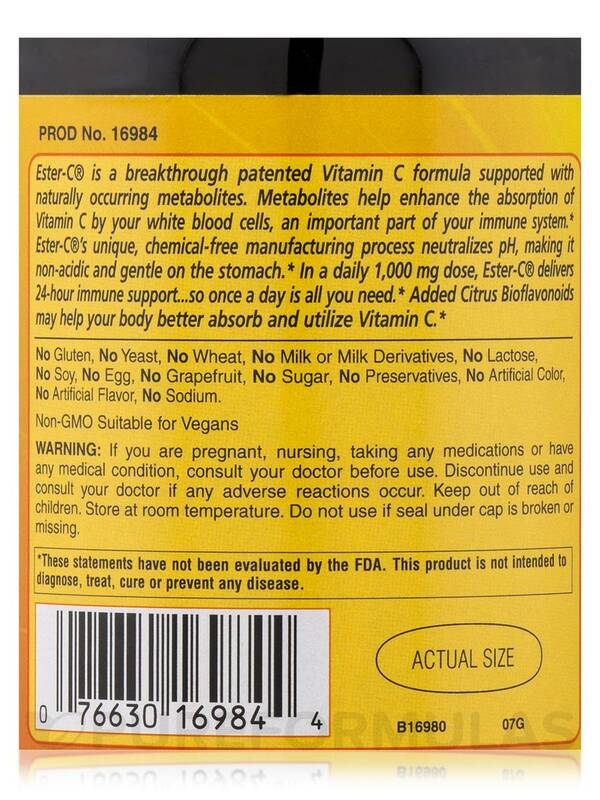 Ester-C 1000 mg with Citrus Bioflavonoids by Ester-C's pills were very large, and several capsules were broken and it was a complete mess. Hesperidin Complex (Citrus spp.) 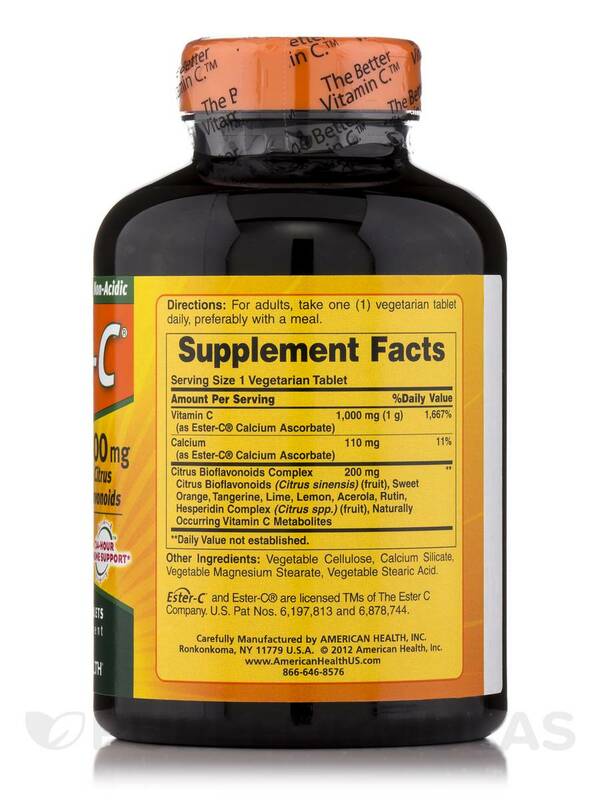 (fruit)‚ Naturally Occurring Vitamin C Metabolites. 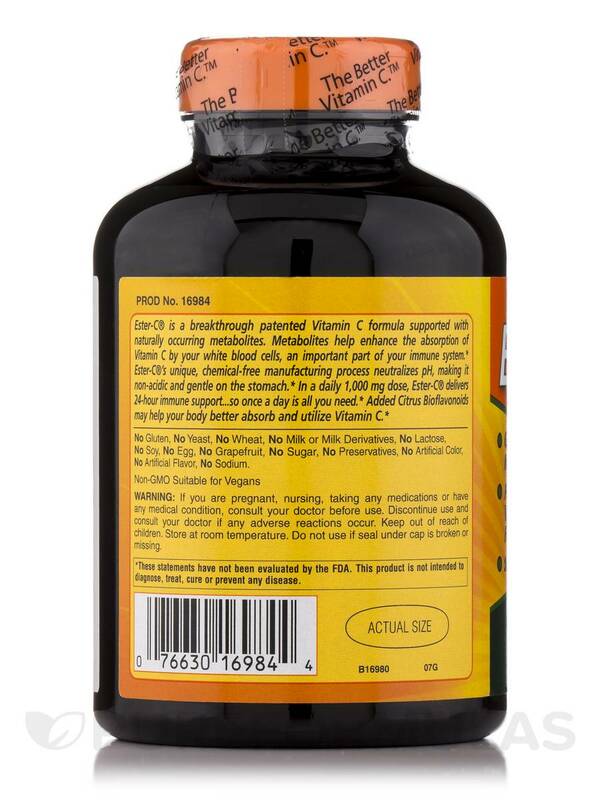 Other Ingredients: Vegetable Cellulose‚ Calcium Silicate‚ Vegetable Magnesium Stearate‚ Vegetable Stearic Acid. No Gluten‚ No Yeast‚ No Wheat‚ No Milk or Milk Derivatives‚ No Lactose‚ No Soy‚ No Egg‚ No Grapefruit‚ No Sugar‚ No Peservatives‚ No Artificial Color‚ No Artificial Flavor‚ No Sodium. 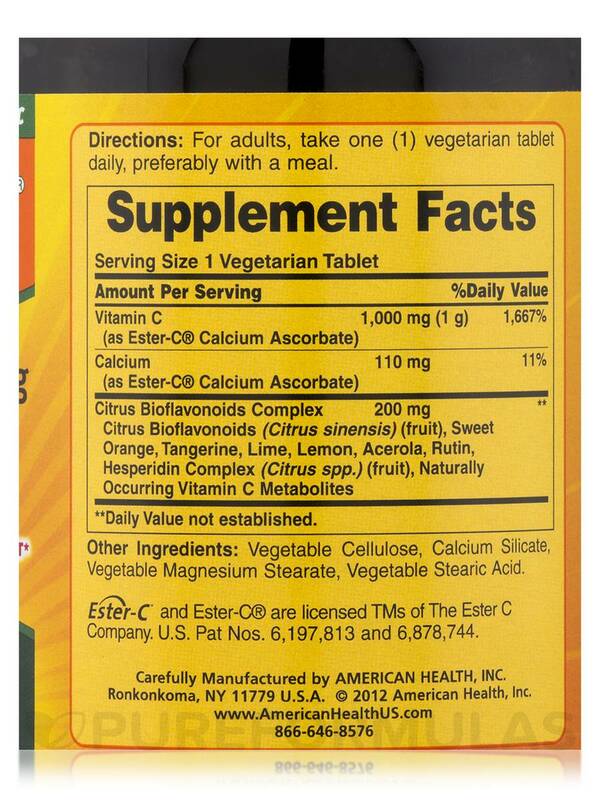 For adults‚ take one (1) vegetarian tablet daily‚ preferably with a meal. 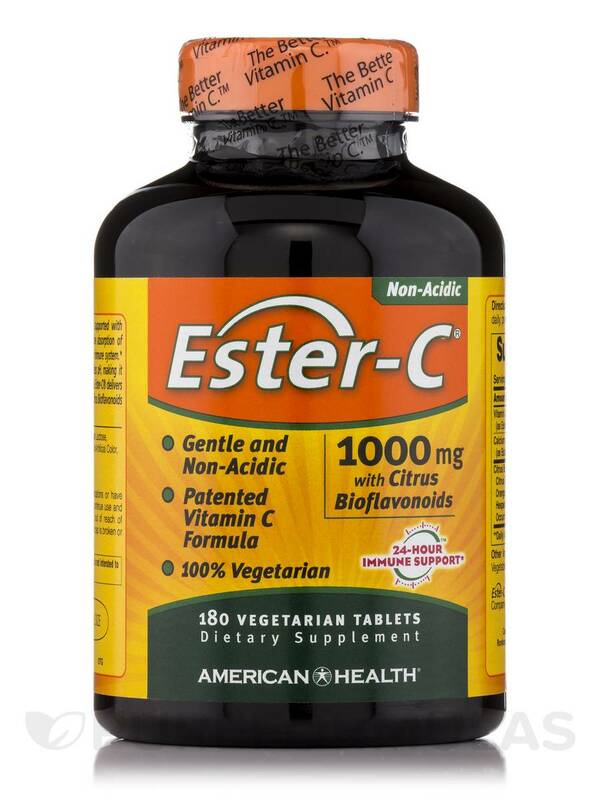 I started Ester-C 1000 mg with Citrus Bioflavonoids because I was suffering from a lot of injuries and this has helped them heal and with the inflammation. It also keeps me regular.